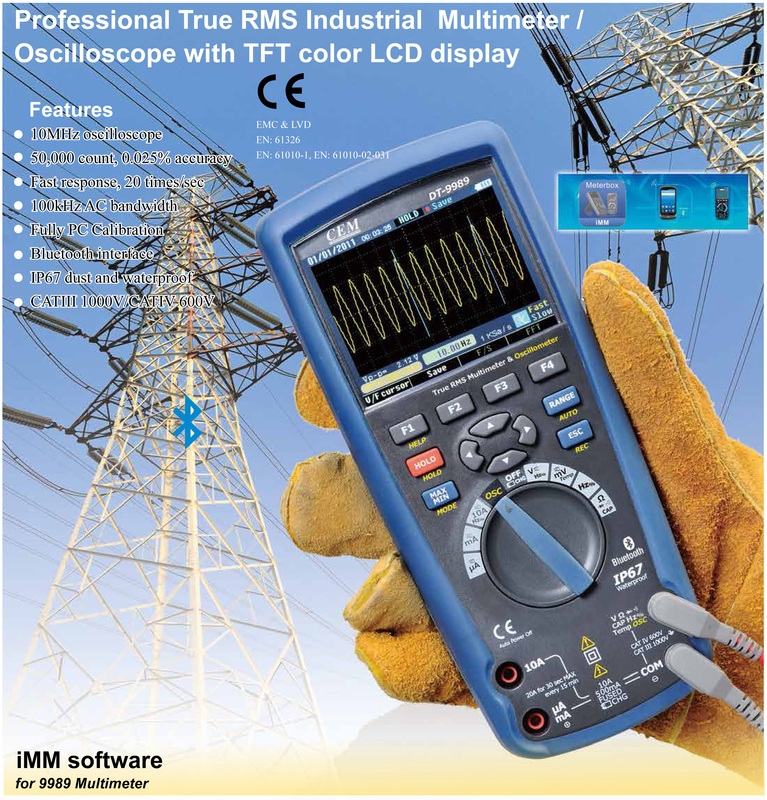 Ruby Electronics DT-9989 True RMS Industrial Multimeter Oscilloscope with Color LCD Display NEW!! 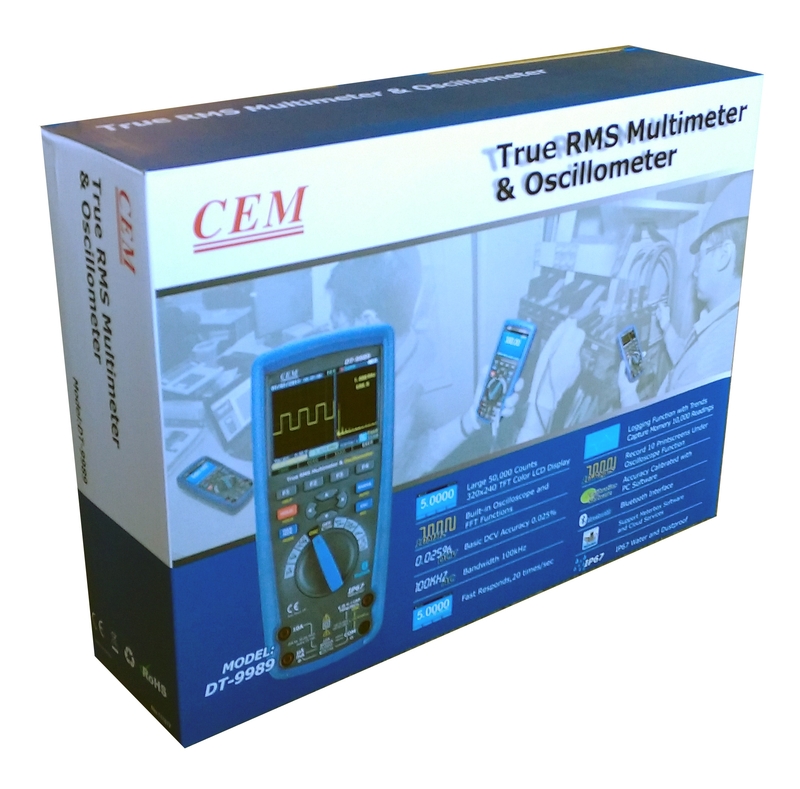 This is a brand new CEM DT-9989 certified digital multimeter Oscilloscope with Color TFT display from Ruby Electronics. 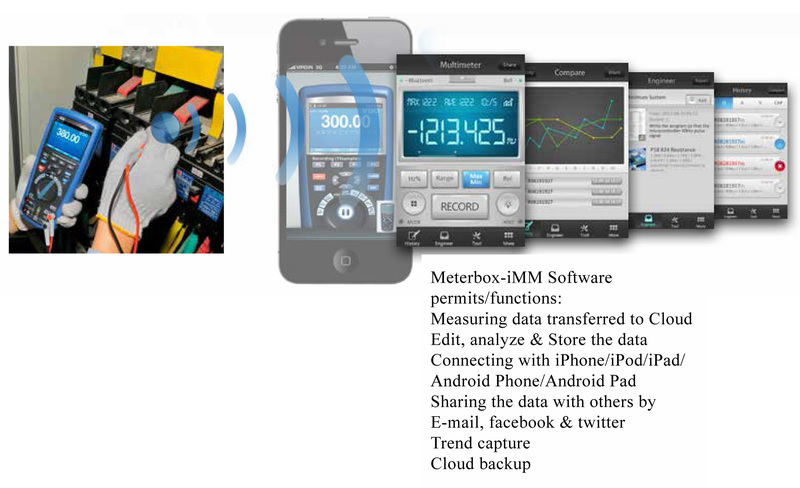 This meter Offers fast A/D conversion, high accuracy, built-in datalogger and auto trigger function. 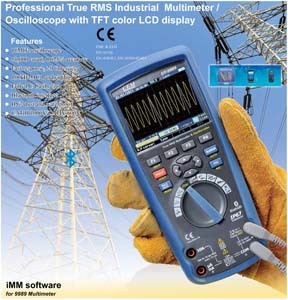 DT-9989 measures AC/DC voltage, AC/DC current, resistance, capacitance, frequency and duty cycles. 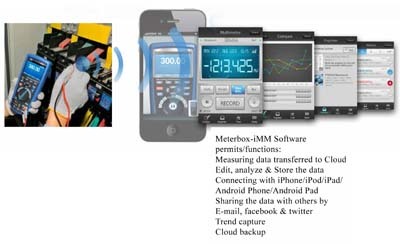 It can also perform diode test, insulation test, temperature measurement, data store and recall. 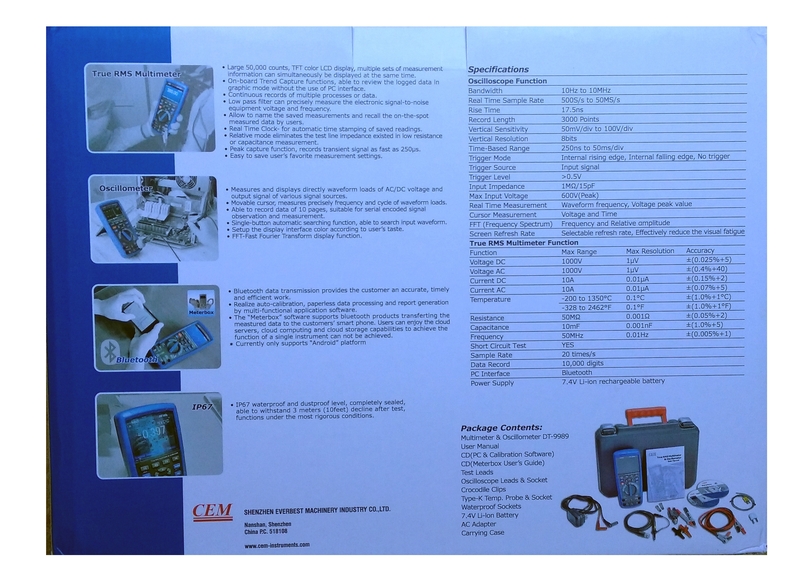 This meter features waterproof, rugged design for heavy duty uses. 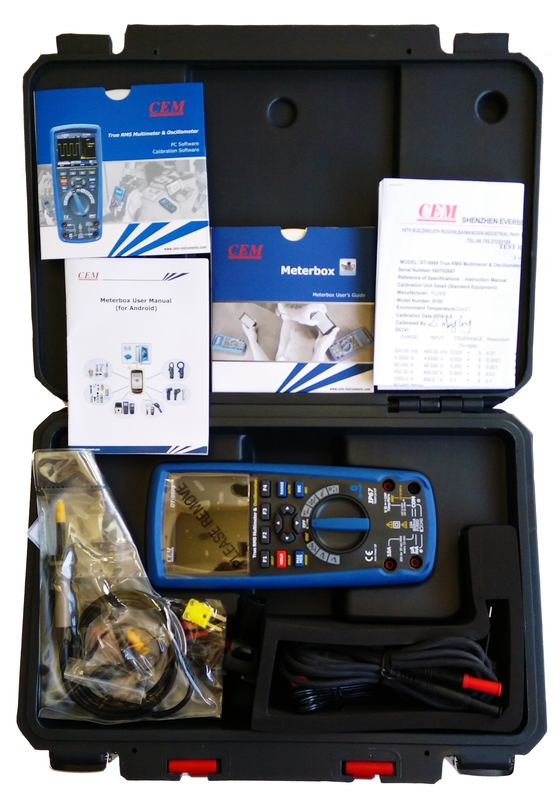 DC voltage measurement, AC voltage measurement, AC dBV measurement, AC low pass filter, DC/AC mV measurement, temperature measurement, frequency measurement, resistance measurement, continuity measurement, diode test, capacitance measurement, DC/AC current measurement, AC+DC simultaneous display and data storage.